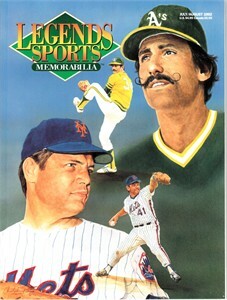 Complete July/August 1992 issue of Legends Sports Memorabilia magazine with beautiful Tom Seaver and Rollie Fingers artwork cover by Christopher Paluso. NOT AUTOGRAPHED. ONLY ONE AVAILABLE FOR SALE.